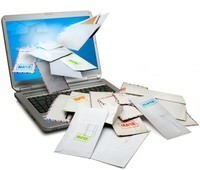 Yes, you indeed need to provide some sort of website contact format for your visitors to get in touch with you! How else will you connect with your visitors from around the globe? An easy web contact management system will keep you connected with your visitors from around the world. And be sure to listen very carefully to all their feedback! Providing opportunities for visitors to contact you will help you keep accurate reading on the pulse rate of their thoughts. You want to know what your visitors are thinking. You want to hear their feedback. To be honest, many site owners think that responding to their visitors is a major pain in the kabunzies and as a result do not solicit visitor input. You are running a web business that you have carefully planned to meet the needs of your visitors. How ever will you know if your website is indeed providing everything your visitors expect? Give your visitors an opportunity to tell you what they think. And yes, you absolutely want to hear the good, the bad and *gulp* the ugly. . .
Every contact provides you with opportunity! You can then be confident that the adjustments you make will improve your visitor's experience as they navigate around your site. Every online small business approaches web contact management differently. Depending on the type of web business you have developed, you might provide a simple we site contact form or you may need to also need to provide a variety of contact methods such as a postal address, phone number, and fax; especially if you are shipping products or providing a service. A word of warning though. . .
Make sure you use a contact form rather than providing an email address on your site. It is best to develop a contact form that includes a graphic verification in order to avoid your inbox being taken over by obnoxious spam. 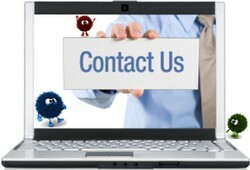 If you do need to provide an email address and/or contact phone numbers do so in a graphic rather than text. That's because Spambots can not read graphics. By using a graphic image rather than text you won't leave yourself open to your inbox becoming the new home of the Kingdom of Spamalot! Be sure that your website contact information is readily accessible to visitors throughout your site. Using a footer with links to the pages such as your site map, site search, website contact, and Business Profile/About Me will help your visitors readily find what they need. Bits and Bytes love to keep in contact too! They will happily send you a steady supply of quick and easy site building tips!